Home » 1 year in the Blog World , Anniversary , Blog Milestones , Blog Tips , First Blogversary , Random Ramblings , Sweet Escapes , Thoughts » A Year in the Blogosphere! One sleepless night, I sat in front of the computer and logged on Facebook; my favorite way of coping up with insomnia attacks. I almost went through my entire Facebook account when I realized that private messages and photo comments were mostly inquiries about the places I've been. It suddenly dawned on me that I should have taken my friends' advice to create a blog a long time ago! I had brushed off the idea several times because I felt it would be very hard to maintain a blog. But that night, I wanted to start on something that could make my sleepless nights productive, and in return, could be of great benefit to my friends. I signed up on Blogger, started typing and was able to publish my first post at half past four in the morning. I envisioned Lady and her Sweet Escapes to be an online travel guide for my friends and an online journal for my ramblings whenever I can't sleep; nothing more, nothing less. Now, three hundred and sixty five days after that sleepless night, this personal blog went far beyond my expectations; and it wouldn't be possible without YOU, my dear reader! I am truly grateful for every page view, every comment and every minute that you have spent on my blog. Let's celebrate Lady and her Sweet Escapes' first blogversary by looking back at the wonderful journey that we have shared. August 2012 - I created www.ladyandhersweetescapes.blogspot.com, which eventually turned into www.ladyandhersweetescapes.com several days after. It was my husband, an Electronics Engineer/IT, who strongly suggested that I should have my own domain and should settle on a niche after he read my first few entries. He told me that this blog can go places. He believed in me, definitely more than I believed in myself! September 2012 - I took my husband's advice on niche blogging. I focused on what I really love, Food and Travel. I have published nearly 30 blog entries and started to attract visitors from search engines. I was greatly inspired when I received my first blog comment from a complete stranger. October 2012 - I redesigned Lady and her Sweet Escapes; created Pages and somehow made it more organized and pleasing. Then, I joined BC Bloggers, a club of talented bloggers. I gained not just online friends, but a family in the Blog World. November 2012 - I posted my 50th blog entry. I joined the community of expatriates at Expat Blog website, where Lady and her Sweet Escapes surprisingly became the most liked and the most visited expat blog in the UAE. December 2012 - Ed, my supportive husband, worked with me behind the scene. He installed the social media widgets and made the blog an SEO friendly website. There was a rise in blog traffic from search engines. I found out that my Hong Kong blog post was already on the first page of search results for Hong Kong DIY Tours. January 2013 - The start of 2013 was so good as blog traffic increased by 60%! I continued to blog about my getaways, my new finds and the latest events in the UAE. February 2013 - On its 6th month, Lady and her Sweet Escapes achieved Google Page Rank 3! Blogging was no longer for sleepless nights, it became a passion! March 2013 - My Dubai Miracle Garden blog post went viral! Unique pageviews per month shoot up from merely 1k to 5k, based on Google Analytics! I received messages; mostly inquiries about directions, but the most unexpected was an email from NBC News. I was featured in an article about Dubai Miracle Garden at Today.com, a production of NBCnews.com. April 2013 - Lady and her Sweet Escapes started to earn! I began accepting sponsored posts within my niche. Mid-April, I received a major advertisement offer, a collaboration with a top airline company in the Philippines. May 2013 - Blessings continuously poured as I got more inquiries about advertising rates and guest posts. This blog became another source of income, and has made some of my dream getaways possible. June 2013 - On its 10th month, Lady and her Sweet Escapes already got 100k total pageviews and 1500 comments! I was invited to an important breakfast event in line with the UN World Environment Day celebration. July 2013 - During Ramadan, I received an invitation to a special Iftar dinner hosted by a shopping mall in Dubai. Another big surprise was an email from Trekity, a travel website for women where I was featured for the Empowering Women series. August 2013 - Blog traffic is now on a plateau, but that doesn't mean I stopped growing. I am still striving to become a better blogger. Lady and her Sweet Escapes will always be a work in progress. Indeed, time flies when you're having fun! As I wave goodbye to a year of unexpected blessings, I do hope that I have shared not just useful tips, but happy thoughts and positive vibes as well. I'm having a wonderful journey in the Blogosphere, and I'd love it even more if you'll continue to walk with me! Hello Gina! Thank you so much for reading my posts. I'm looking forward to another awesome year with you and the rest of my readers! Hi sis! Happy Blog Anniversary to you and of course, your blog! Hehehe! Thank you for sharing your success! You're so humble and sweet and very inspiring! Happy blog anniversary! I love visiting your blog it like a virtual travel. congrats, just a year of blogging but a lot of achievements agad! Congratulations! Indeed its a good blogging journey for you and with the dedication you have, pretty sure your blog can reach greater heights. Oh, thank you so much Ron! It's really great to be surrounded by people who have a positive outlook in life. Wow Grabe Anne! You really had an awesome accomplishment for just a year! 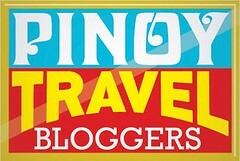 Your blog is really one of the best travel and food blog! Keep it up! Thank you Janz! I still have a lot more to learn. Thank you for sending that warm hug across, Maan! :) God bless you too! Congratulations sis! Way to go!!! I've been blogging since 2004 and forgot counting na hahaha!!!! It's very hard to maintain 4 blogs rin kasi. Yes, cheers to another year of escapes! Thank you for bringing us to beautiful and grand places. Your escapades are worth reading too!